Bridging the gap between university research and industry application is a challenge noticed by many university faculty, including Diego Klabjan, professor of industrial engineering and management sciences. "I've always felt that there's a disconnect between what most academics do and what's happening in the real world." This disconnect or "innovation gap" between research and implementation can be reduced by conducting market-driven research efforts that go beyond typical applied research projects. Klabjan explains "From the beginning, the thrust of my research has been to create technologies that businesses can actually use. Although not all of my research is directly related to industry-related problems, my desire is to use applicable research to bring additional value to commercial users." Despite the usefulness of such projects, funding can be difficult to obtain. It is no surprise then, that when Klabjan first heard of CCITT and its mission to move research to realization in surface transportation, he was very interested. 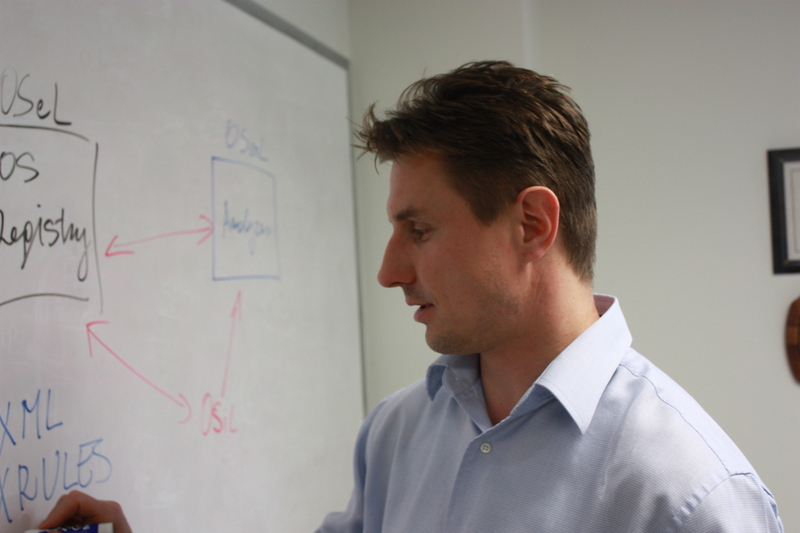 After submitting a proposal, his project "Business Intelligence for Gang Scheduling" was selected as one of four research projects to be awarded funding by CCITT in 2009. His project was aimed at developing a software system based on business intelligence and state-of-the-art analytics to streamline rail maintenance scheduling. Each year, U.S. railroads allocate $6.9 billion for track maintenance. Klabjan's software, which is now being marketed to railroad companies, can help make maintenance more efficient and reduce operational expenses. CCITT's role is to help foster innovation in the academic community. By collaborating with CCITT, professors like Diego Klabjan are able to use their applied research to help solve real-world transportation problems. In a marketing research internship created by CCITT, undergraduate engineering student Carlos Calegari was given the opportunity to define a product development plan for new software aimed at making railway maintenance more efficient. Under the guidance of CCITT Director Bret Johnson, Calegari worked for Diego Klabjan, professor of industrial engineering and management science. During this time, Calegari gained unique knowledge about the railroad industry, railroad maintenance and operations, and information technology used by the railroad industry for maintenance planning and scheduling. Less than a year after completing his internship, he received an offer from GE Transportation to enter its leadership program. 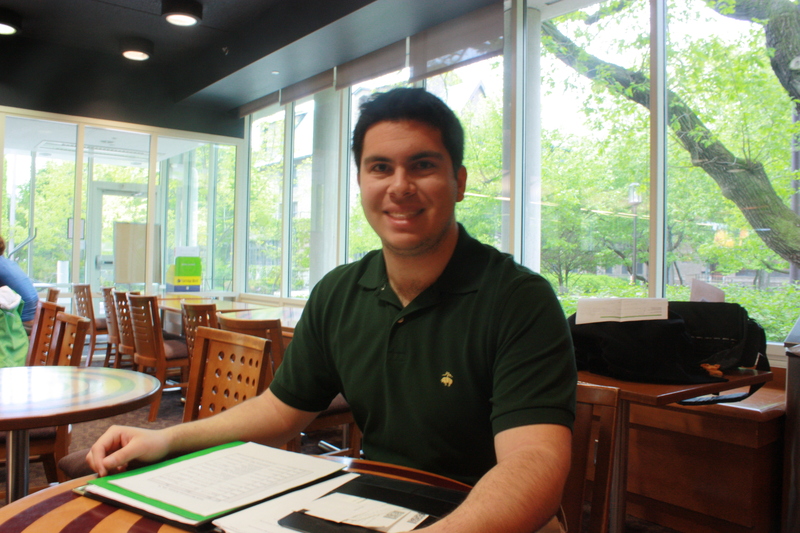 CCITT spoke with Calegari to learn how his internship gave him a competitive edge. CCITT: Few undergraduate students have the opportunity to develop a product development plan for a real software program about to enter the market. What did you learn during your internship? Calegari: Number one: the ability to work independently without somebody constantly on top of me making sure I do my work. That was an ability that I saw that General Electric liked. Number two: I'd say dealing with the software development process. It was something I could talk about a lot during my interview with GE. I was able to talk about the stages we went through, and a specific sales model that we saw appropriate for the software product. CCITT: What are your goals after finishing the leadership program at GE? Calegari: I want to be an innovator and leader at GE. I want to take the knowledge I've learned and develop something really influential. If you're a professor interested in collaborating with CCITT or a student seeking to gain an internship, contact ccitt@northwestern.edu for more information on how to apply. Graduate students are building on Northwestern University Transportation Center research thanks to a collaboration between CCITT and NUvention: Energy. An interdisciplinary student team of four graduate students, whose studies focus on engineering, business, and arts and sciences, are developing plans to make use of a prescriptive framework developed by NU researchers to support sustainable decision-making in the purchasing and operation of transportation infrastructure. Pablo Durango-Cohen, professor of civil and environmental engineering, and PhD student Elaine Croft McKenzie were the key researchers of this project (titled "Supporting Sustainable Development of Transportation Infrastructure: Developing a Modeling Framework to Integrate Life-Cycle Assessment within Decision Models"). The student group's assignment is to develop an innovative business plan capable of bringing the new transportation technology to a commercial realization. CCITT recommended the transportation research project to Nicholas Switanek, visiting assistant professor of management & organizations at the Kellogg Graduate School of Management, who leads the NUvention: Energy graduate course. The students consult with Durango-Cohen and McKenzie on technical matters and feasibility concerns to better refine their business plans. According to Switanek, the insights of scholars like Durango-Cohen and McKenzie are particularly valuable "because they think about interconnections in a way that most of us, whose views are so myopic, can't see." The course is part of NUvention, an academic partnership created by the Farley Center for Entrepreneurship & Innovation (FCEI) at the McCormick School of Engineering and Applied Science. FCEI is dedicated to evolving engineering beyond the application of sciences to the creation of businesses that capitalize on innovations. FCEI's educational vision is synergistic with CCITT's research mission and is a great resource to expose a diverse array of students to the transportation industry. CCITT has provided a grant award to principal investigators Semyon Vaynman, Morris Fine, and Yip-Wah Chung of the materials science and engineering department on their project, "Evaluation and Application of Super-Tough Steel for Use in Tank Cars Transporting Cryogenic Liquids." The award will fund further testing of a recently developed steel for Next-Generation Tank Car applications. 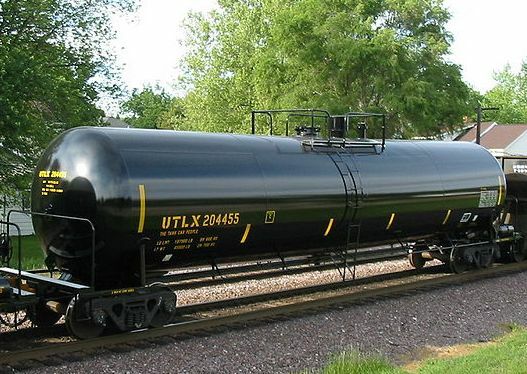 The Next-Generation Rail Tank Car Effort is a joint initiative led by Dow Chemical, Union Pacific Railroad, and Union Tank Car (UTLX) in cooperation with the Federal Rail Administration, Transport Canada, and the Transportation Security Agency. The initiative is focused on the design and implementation of a next-generation rail tank car for the safe and secure transportation of highly hazardous chemicals. The research team is using the commercialization research grant to work with Union Tank Car to further test NUCu60ST, a 60-ksi yield strength super-tough cryogenic steel, developed during previous research projects supported by the Infrastructure Technology Institute at Northwestern, CCITT, and the Federal Highway Administration. In preliminary mechanical and fracture testing conducted in partnership with UTLX, NUCu60ST outperformed steels currently used in tank-cars and other alternative high-performance steels. The next iteration of testing and analysis will include welding, stress relief, steel aging, normalizing, and more to develop a complete evaluation of NUCu60ST. The intended outcome of the testing regiment is to develop a functional specification for NUCu60ST as a steel for tank car construction. Assuming samples of NUCu60ST produced from a low volume production run will exceed tank-car performance specifications, the research team has lined up a steel company to produce large volume production runs for UTLX at a reduced cost. UTLX will then manufacture experimental tank cars for full scale testing. In April 2010, the NU Transportation Center (NUTC) and CCITT hosted a workshop, "Border Crossing Issues and Prospects for Freight," for the NUTC's Business Advisory Committee, faculty, and other special guests. The workshop featured a diverse group of invited speakers, including: Robert Harrison, Deputy Director for the Center of Transportation Research at the University of Texas, Austin; Kniffen Kelly, Director of Transportation Solutions, UPS; Mike Tamilia, Senior Manager, Customs and Transborder Operations, CN Railroad; and Dan Ujczo, Managing Director, Canada-United States Law Institute, Case Western Reserve University School of Law. The interactive discussion was moderated by Professor Aaron Gellman who also serves as an advisory board member for CCITT. Infrastructure at border crossings for freight movement requires attention – policy and strategy are driven by infrastructure constraints. Climate change priorities provide an opportunity for US-Canada and US-Mexico to adopt similar guiding principles for freight. CBP can learn from the private sector, but entrenched cultures of various private industries across the supply chain can stifle change. A tremendous amount of data is available that can be exploited by university researchers. "A Visual Platform for Analyzing Position and Movement Data"
"The Path to Starting a Technology Business Serving the Transportation Industry"